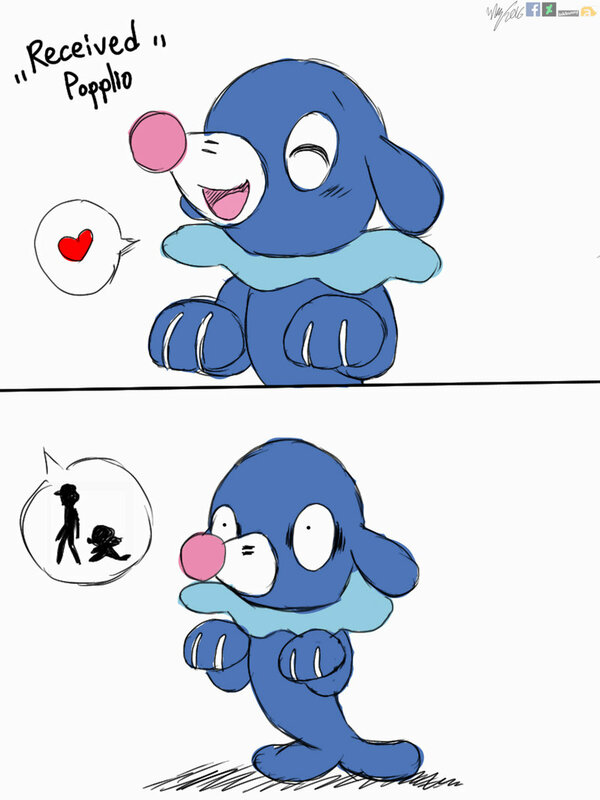 Popplio by Pokémon, Nintendo, Game Freak. I kinda get it. But it only makes sense if you think of Popplio as a seal instead of a sealion. The former have a MUCH harder time on land. I also don't get it. Oh, I know, It could use a bubble! Maybe it could bounce like Mermaid Shantae... Oh, I know, It could use a bubble! I thought this was a reference to people who will be getting a starter in Sun/Moon, then walking away from (boxing/releasing/wonder trading) their starter.